It is scarcely surprising that this document originated in Paris, the fountainhead from which the revolutionary spring beginning in the Hussites was unleashed upon beleaguered Christendom. What is surprising is the seeming amnesia of the history and nature of Europe which its authors display. Take, for example, this sentence, “The most common political form of unity-in-diversity is empire, which European warrior kings tried to recreate in the centuries after the fall of the Roman Empire.” Leaving aside that there is by its nature only one Empire, that the so-called fall of Rome is example of desacralized national “mythology” rather than true historiography, what European Warrior Kings could they possibly be referring to as trying to recreate the Empire? Surely not the Pater Europae himself, who counted himself in direct succession from Constantine? Did Rudolf I fail to recreate the Empire after the Great Interregnum? Was Maximilian I, in instituting the Everlasting Landfriede, proving himself to be a true barbarian warrior king? And what have the Nations done to preserve the Peace, now that the Europe of the nation-state has taken on the duty which was once the great vocation of the Empire? A century of war, totalitarian violence, senseless murders and wanton expulsions, would seem to indicate precious little. But it is alright, we are assured, “we have always recognized a kinship with one another, even when we have been at odds—or at war.” This strikes me as so blatantly false that it barely deserves comment. What kinship did the Jacobins feel for the Vendee as they drowned it in the blood of the saber and the guillotine? What kinship did the “Aryan” feel for the “degenerate Welsch” or the “subhuman” Slavs? Were not these both openly and intrinsically nationalist movements in Europe? The authors of the Paris Statement decry imposed unity but praise the nation-state which by its existence attempts to impose unity of culture and language through false and often murderous means. “Only empires can be multicultural,” we are told, in disregard of the fact that for centuries of human existence, what are today even the most homogenous of “nations” contained a varying diversity of languages, customs, and nationalities. 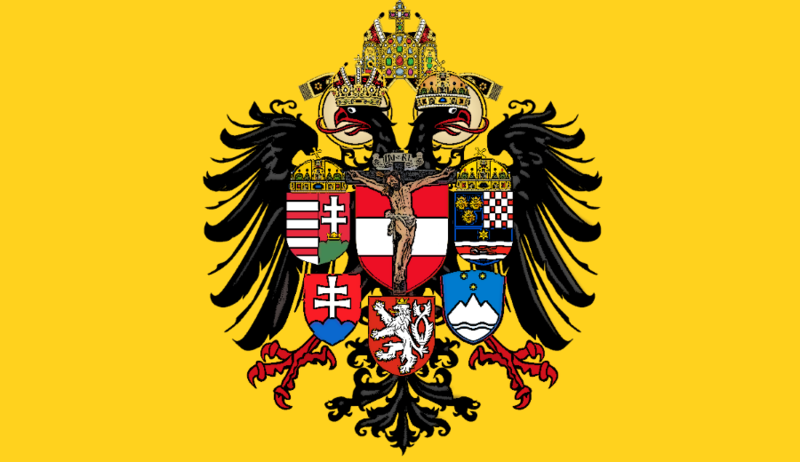 The unity of this Christendom proclaimed in this manifesto derives not from a common Civilization manifesting itself in the supranational empire and its heterogeneous territorial sovereignties (countries), but in a cultural and purely spiritual “Christianity” which Matthew Schmitz insightfully describes as “more akin to Shinto than to the universal claims of the Roman Catholic Church.” In a Europe where the very nations themselves are fracturing, from Scotland to Sicily, from Catalonia to Ukraine, what bond of kinship or spiritual cultural unity is more real than the blood which marks every man a Son of Adam? Only loyalty to a true understanding of the Common Good as was historically expressed in Europe through the country (diverse cultures unified in a common civilization and common love of the land) and not the “nation” will suffice to withstand this current crisis. The Europe of the European Union is dying; the Europe of the Paris Statement is stillborn, poisoned by confusion and ignorance. Yet there is a living Europe, a Europe that is not a continent but a Civilization, the Europe of Christendom, the Europe of the Empire. This is the Europe of all nations to which men of every race and continent may belong, which will never die though countries fall and nations are forgotten. It will live so long as the memory of the Empire does not fade, for Europe is the Sacrum Imperium, terrible as an army set in array and yet fair as the moon and bright as the sun for we fight ever under our great imperator for the Truth and the Salvation of men against all evil, global and nationalistic. To those that say “Europe belongs to us,” take care that your lives are moral and your actions just to all who come to you. For what will the Owner of the land say when He finds His tenants have refused His commands and have claimed it for their own? He will come, and will destroy these husbandmen, and will give the vineyard to others. Which they hearing, said to Him: God forbid. Notice that there is nothing whatsoever in patriotism so understood that entails hostility or contempt for other nations, any more than the special love one has for one’s own family entails hostility or contempt for other families. Nor does patriotism entail even a mere lack of concern for other nations. On the contrary, since the human race is essentially a very large extended family, human beings are naturally bound to exhibit some degree of fellow feeling and concern for all other human beings. “Human beings thus naturally relate to others in a way that is usefully illustrated by way of concentric circles. Our immediate allegiances and responsibilities concern members of our own nuclear families and friends. In the next concentric circle would be members of our extended families, toward whom we also owe a certain degree of allegiance and responsibility, but where the debt is not as great as that owed to our own immediate family. In the next circle beyond that are our countrymen, to whom we owe allegiance and toward whom we bear some responsibility, but where these are not as great as the allegiance and responsibility we owe to our extended families, let alone our immediate families. He also goes on to condemn nationalism as an excessive attachment to one’s own nation where one becomes paranoid of and hostile to people of other nationalities, so he’s certainly no advocate of nationalism. But what is most important here is that this seems to contradict the above quote in the beginning from Dietrich von Hildebrand where Hildebrand says that nationalism is ranking a nation above the global community of mankind in terms of value. If this really is the definition of nationalism we would want to condemn, then this runs afoul of the fact that, as Dr. Feser mentions, our responsibilities towards other members of humanity runs in a hierarchy of concentric circles, where we have more responbility for those subjects closer to us than those that aren’t. And this also seems to imply that, if we want to classify as evil the idea of giving more importance to one’s own nation and the responsibilities one has for it, we would also have to classify as evil the idea of giving more importance to our own immediate family than we would for strangers / mankind. First I apologize for not responding sooner to your earlier comment. I will address it separately, however, there will be some overlap in my replies. Will all due respect to Dr. Feser, I believe he is conflating the Patria with the Nation, and this leads to several erroneous assumptions. Earlier in the same essay, Dietrich von Hildebrand writes, “Genuine patriotism and genuine love of the nation to which one belongs- two concepts that are by no means identical– are both morally positive and indeed obligatory attitudes, like every divinely ordained, well-ordered love.” (Emphasis added) “Special concern” for one’s own nation is natural and indeed morally obligatory, provided one correctly understands what one’s nation is. Own’s connection to one’s “nation” (or indeed “nations”) is primarily cultural, linguistic, and to some extent “ethnic” (familial), and accidental, that it is composed of accidents- it is not essential to human nature to be a Saxon or an Irish-American. To be rightly proud of the virtue and even the customs and accidentals of the Saxons or the Irish-Americans (or whichever nationality one belongs to) and to ensure the morality of the spiritual soil that is your language and your culture is right and just- to own allegiance to it is somewhat of a different matter. The Patria or country on the other hand, is more essential to, more deeply related to the essence of, human nature. It is essential to human nature to be ordered towards moral good, the ultimate good being God Himself; it is essential to human nature to have a “homeland”, the ultimate homeland being the everlasting life to to which God calls us body and soul. In so far as it is rightly ordered, the “country” is a community intrinsically ordered towards the good of all its inhabitants, and united by a conscious allegiance to this end. It is through the country that the person participates in the common good of Civilization and the greater family of mankind. Which brings us to the Family. Contrary to Feser’s hierarchy of concentric human relations, Dietrich von Hildebrand’s hierarchy of values is ordered so that the higher values are those that more deeply reflect objective truth (and to be clear, I consider von Hildebrand’s usage of “nation” as loose and inconsistent in many cases). Thus even when the local political or cultural community is more immediate, humanity and the family of mankind are of a higher order because it is more deeply essential to human nature. But the Family is both immediate and of high order, because it is a community of Love ordered to the Common Good of all its members and united by unique physical and spiritual bonds. The Family does not merely extend itself fading outward into weaker loyalties. Rather when rightly ordered both the country and the nation reflect and expand elements of the Family (in the beginning and with the first Sovereign, whom we know as Adām, these elements were more closely united; the first Family was also the first Patria and the first nation). The country reflects it in so far as it is a community of voluntary love bound by certain rights and duties, ordered towards the good of all its members and the greater good of Mankind; the nation reflects it in so far as it is a union of custom and communication, of traditions of ancestry, and shared physical or adopted bonds. As a Family through Matrimony unites two separate and distinct clans in sacred unity of purpose and responsibility, thus does the rightly ordered country unite its disparate nations for the Common Good. But if the duty to Mankind is of a higher order of value than the more immediate relations, how then do we not “classify as evil the idea of giving more importance to our own immediate family [compatriots/conationals] than we would for strangers”? The answer to this lies in the nature of good. The Common Good of Mankind is not abstract, and unlike material goods is not divisible. All the mediate and immediate relations are participations in it; to neglect one or give undue importance to another is to act against the whole Good. For a man to unjustly neglect his family in favor of a stranger or even a close friend is for him to act (in a small or great way) against the Good of the whole hierarchy of relations. It is not a question of their good versus our good, but of Good and Evil, of what is Just and Unjust. Even the unique and immense bonds of the Family do not permit one to cooperate in unjust actions against the stranger by members of family, rather those bonds impose a moral duty to oppose such acts. And if a whole family willing sacrifices lesser material goods for the greater Good of a stranger, they too participate in and receive that greater Good. This is also why loyalty to the country is of a higher order than loyalty to the nation- when rightly ordered both are good, but because the country is ordered to Good intrinsically and the nation only accidentally, in cases where they conflict the country generally takes moral precedence, although there are numerous cases where the state acts against the Good of its nations, and therefore of the country and of mankind. Do you have an English translation of Hildebrand’s Austria and Nationalism or know where I can find one? God bless. A translation of Austria and Nationalism can be found in My Battle Against Hitler, the relevant section (or most of it) of which can be found on Google Books. God bless.